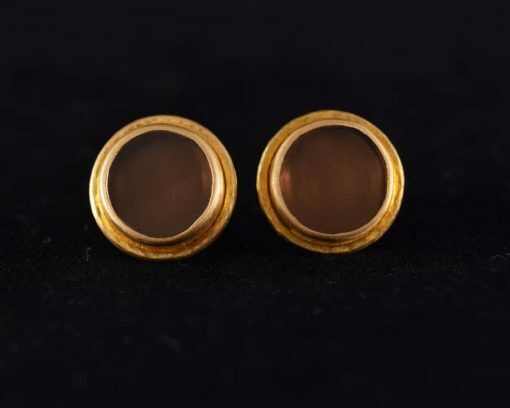 Round smoky quartz discs set in 22ct gold. Very understated but surprisingly eye catching when being worn. 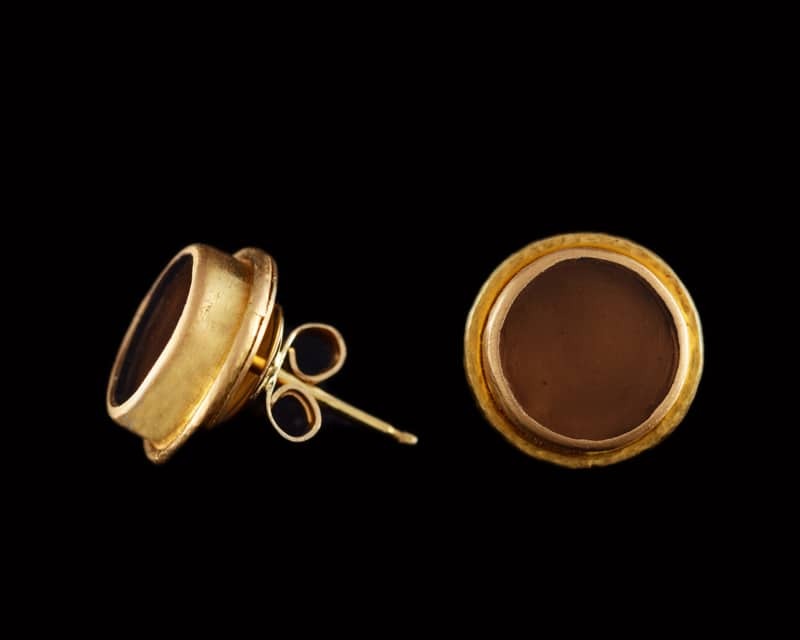 Earrings on posts; diameter 1.2cm.